Washington (CNN) – Monday White House Press Secretary Jay Carney said any politician who claimed they could guarantee $2.50 a gallon gasoline would be “lying.” There is only one candidate – Newt Gingrich – who has made headlines calling for exactly that. On Tuesday, the president’s spokesman had to walk back such impolitic language. In a statement released after Tuesday’s White House briefing, Gingrich Communications Director Joe DeSantis called the Obama administration incompetent in dealing with economic issues. The Gingrich camp says that $2.50 a gallon for gasoline is possible if domestic oil production increases. “Newt’s bold plan to maximize American energy production has the White House rattled because it exposes just how dramatically out of sync the president’s hard-left energy policies are with the vast majority of the American people. $2.50 gasoline is achievable and drilling here, drilling now so we can pay less and be independent of Middle East oil is just common sense,” DeSantis added. The president has touted success in increasing domestic oil production and decreasing dependency on foreign oil. Next entry »President Obama says "Stop Bullying – Speak Up"
The only reason Obama would want those comments backpedaled is because he knows it's possible. It just means pursuit of an extremely aggressive, but more realistic, energy policy. Yes, we need to develop sustainable energy. It simply does not happen overnight like Obama seems to be convinced it can. In the meantime, drill, drill, drill and work on alternative energy simultaneously. for your car. Start thinking natural gas. And once again Obama is taking credit for the oil production being up, knowing that HE has nothing to do with it. Oil production is DOWN on Federal lands, since he won't issue permits. It is UP on privately owned and state land – and anywhere BUSH issued permits. If Bush was such a genius when it comes to oil and gas, then why was gas $4+ a gallon in Aug. of '08? I mean the guy had 8 years to drill baby drill. Where's the $2.50 gas? Oh yeah, drilling has nothing to do with the price of gas, you're just pushing Newt's talking points. As a NY Knick fan, I understand that "Melo" and "D" really don't go together but I digress. No offense! Anyway, I don't know how folk STILL believe a president controls any commodities. Whatever oil and gas is produced in this country heads to the global market! In short, wasn't Bush's fault and isn't Obama's fault! Bachman mentioned $2.00 a gallon gas and now Newt's $2.50! That authority is not within the reach of any president! For that to happen it would take government interference and isn't that what we're are fussing at now? Right Melo! And wasn't the Iraq war supposed to bring us cheaper gas? Our gas prices are still the cheapest among all developed countries yet we continue to complain. I don't like higher gas prices – who does? However, I guess we need to open our eyes and realize that oil is a finite resource and we're never going to see the prices we would like again. Also, we can drill out our country until there is nothing left of it and it still won't affect our prices as that is not how the world works today – it will be sold out on the market. If we don't support this President with what he is trying to do to get us off our oil dependence then I'm afraid we are doomed. Bush even said that Americans are addicted to oil, does anyone remember that?? You may recall, President Obama suggested the use of algae would be one possible answer to a lower price of fuel for vehicles. We might try the water hyacinth too, they were both checked for the treatment of waste water in prior years. If you had heard the news conference, instead of Snewt's misinterpretation, President Obama praised research being done at that college involving algae. By the way, Popular Mechanics published an article about some guy who makes his own car fuel from algae in his garage. This was several years ago. Why are righties always looking to take a mean-spirited shot based on their own misinformation.? This shows integrity in Jay Carney. If Nutty Newt has a plan the will give a price of $2.50 for gas, and he loves America as he claims, then he would put the plan out there and let those who are in office now determine if it is feasible. However, there is no plan at this time and Newt knows that. He still believes he is talking to people with his IQ. Gingrich will do anything outrageous to keep his name in the news. He is really a clown. A showman and a seller to any fool that will follow him. With that, I will not read another insane thing this moron says. He is nauseating. I agree and would have to say that about all of the Repub candidates. They all say they have better ideas on gas, economy, housing, Iran, etc. So, if that is true then why not confer with the President and see if he would like to adopt any of those ideas to help the country NOW. Why is it we always have to wait until the next election. Could it be because they are ALL full of hot air and really don't have any better ideas. Man, you should have just stuck with he's lying, because he is. Newt knows exactly what he's talking about. He's pandering to people who actually think that the president can control gas prices. Evidentially there are quite a few in this country. How gullible can you be? Fox News and GOP keep talking about gas price when Obama took office which coincidentally was when the US was at the brink of depression. Basic economics people, energy is in high demand in growth periods. When you hit the skid like the US and pretty much the rest of the world did in 2009, demand is dirt low. Hence, gas prices are cheap. If they want to be fair, provide the price of gas before the bubble burst. Prices have been around these levels before and you can't ignore some sort of inflation adjustment. Impolitic language?!? Jay Carney didn't need to walk back anything he said!! He just told us the truth...well, at least the truth as we know it or was told! The President has nothing to do with the cost increases nor decreases of gasoline! We were told that under Bushs' reign and every other Former President when gas prices were increased! Jay told the buttnaked truth. Newt is a LIAR! He is playing on voters ignorance and stupidity, not to mention the great hardship on us in trying to buy gas, just to WIN votes! If he were to when the election, and he won't because he's a liar and a cheater, unless some standing rules of policy concerning Presidential authority over the pricing of gasoline, he will be sitting up there in the Oval Office with his hands tied too!... not being able to do any more than Obama can, or Bush did! The President has no authority over the speculators...period! That's what we were told when we hollered, kicked and screamed about the high gas prices when Bush was President! Why and how did all of a sudden it become different now?? It's all a part of their plot to shine yet another bad light on Obama! We know what it's been all about all along! Newt is a liar, just like most Rethuglicans are!! That's their modus operendi!! They lie through their teeth and think nothing about it. If Obama had even made such a promise, my goodnes the media pundits and commentators, the internet 'blogger politicians', and the rest of the voters who heard it would certainly be on his case and hard!! I can just hear them now...'Who does he think he is..? ' He can't tell the speculators and oil moguls what to charge for gas'! 'Presidents don't have authority over gasoline prices'! 'He's arrogant..he's a snob'! 'He thinks he can walk on water, and thinks he's the smartest suit in the room'! All kinds of animals would come out of there cages after him for even saying such a thing!! Impolitic language wouldn't even be called into question on the issue! They wouldn't walk back a word! He'd be called a 'LIAR' and that's that!! They've already provened they don't mind calling Obama a liar! Right to his face too!! Oh, but since it's Newt, and he's running on the lying GOP ticket for PRESIDENT, we have to tip around his 'LIE' on eggs-shells or act like we believe he's telling the truth!! Carney shouldn't have taken a word back...he told it like it was!! That kind of thing to me is a prime example of REAL 'voter fraud'!! It causes the stupid and lower-level intelligents to vote on a KNOWN lie just to try to make Obama a 'one term President!! He's a liar pure and simple and that's that!! Obama told us that if we heard anyone saying they could fix it where we would be paying $2.50 per gallon for gas, they just don't know what they're talking about! At least he was trying to be 'polite', whether they are to him or not...and they never have been!! 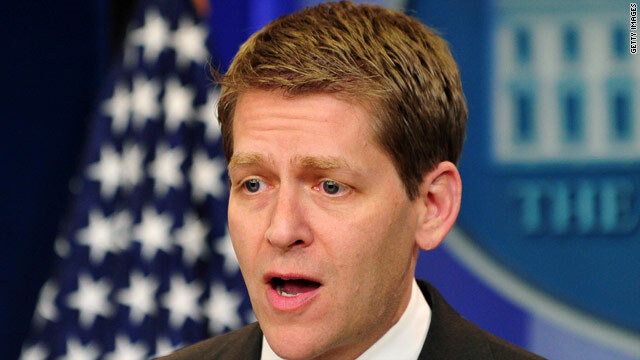 Jay Carney is the press secretary...his job is to tell us the truth! He shouldn't have to worry about being 'polite', over telling the straight truth!! Ignore the accusation of you using 'IMPOLITIC LANGUAGE', Jay!! Just keep telling us what's REAL! NEWT IS A LIAR!! No apologies are necessary!! Keep talkin', Newt. You only prove how dumb you are. Calm down, Liz Carter. The only place Newt is going is back to his all White men's country club. We have not forgotten how Newt started the vicious atmosphere in DC that still exists to this day. Carney is definitely not the best spokesman. It often looks like he's unprepared for questions he knows are coming. If we could harness all the back pedaling going on in DC..... energy crisis solved!